Thanksgiving is all about the big feast on Thursday, but that doesn’t mean you won’t need to feed your family and yourself before and after. 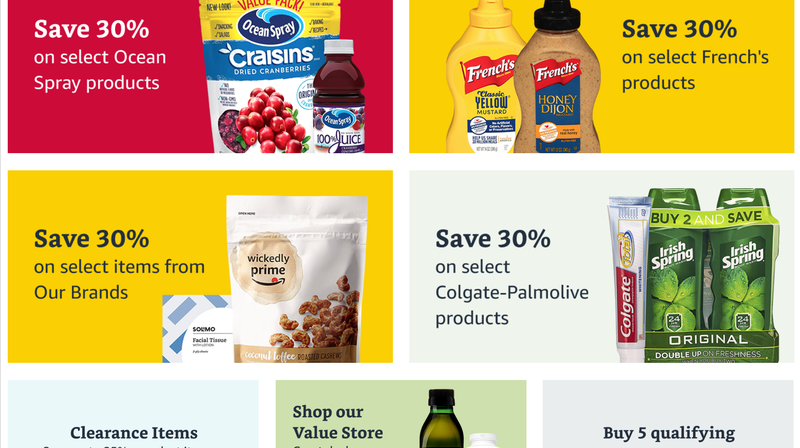 Luckily, if you spend $60 on Prime Pantry items now, you’ll automatically receive a $10 discount and free shipping at checkout. So, stock up on snacks, not to mention loads of household and personal care products, ASAP. You’ll be grateful you did when hungry guests converge on your home, but dinner isn’t quite ready.